Clear Glass Trinket Jar with Lid - Beautiful French inspired storage jar with cut glass, faceted design. Perfect for home decoration or wedding table decor. 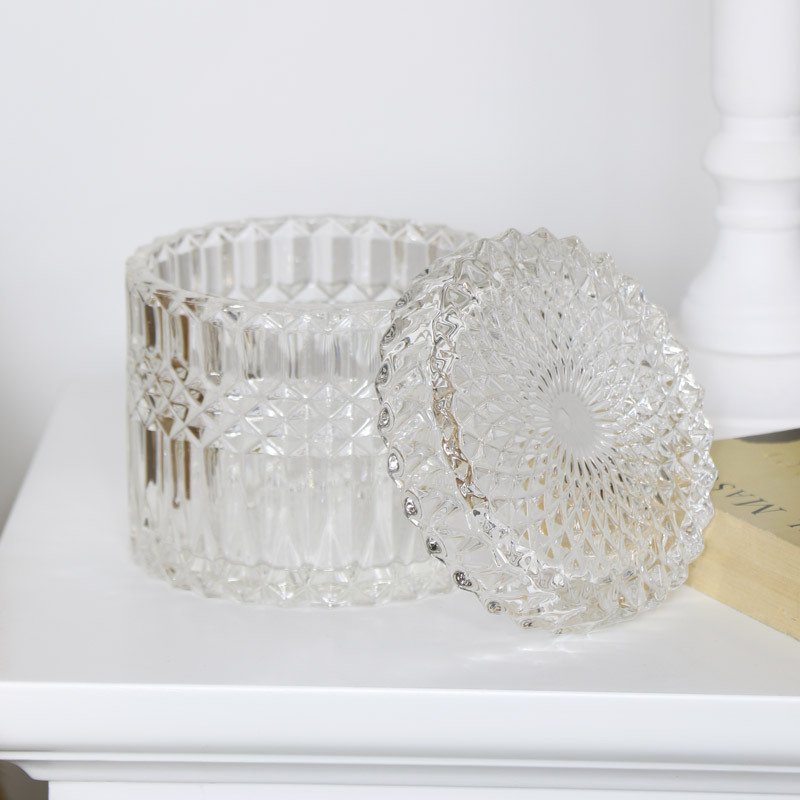 Elegant clear glass trinket jar with lid in crystal effect design. Can be used for trinket storage, sweets or for holding ice for drinks. Stunning cut glass design that will add an elegant feature to your home decor. Clear Glass Trinket Jar with Lid - Beautiful French inspired storage jar with cut glass, faceted design. Perfect for home decoration or wedding table decor. 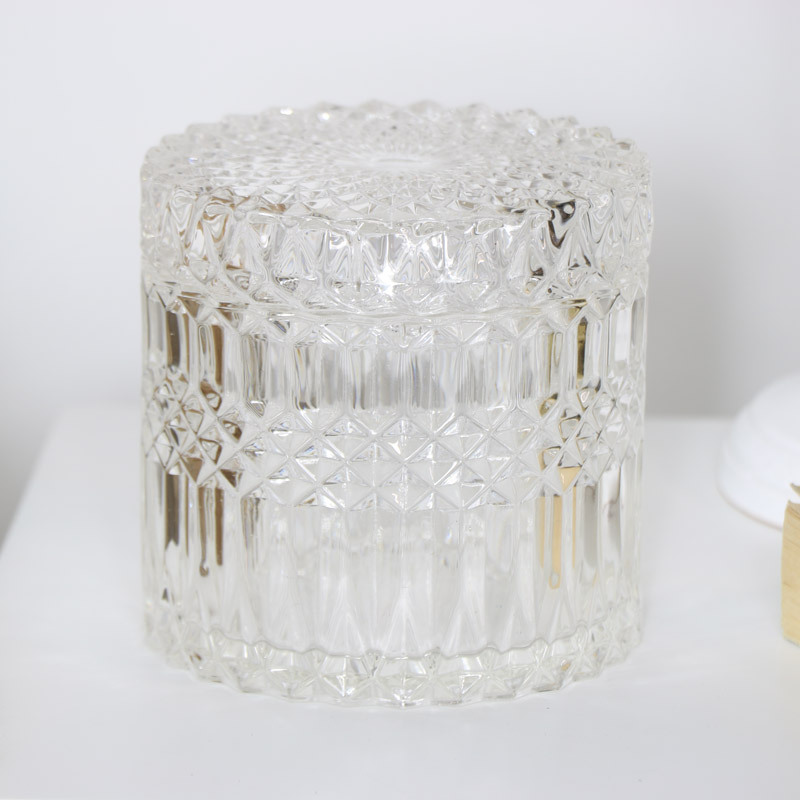 Elegant clear glass trinket jar with lid in crystal effect design. Can be used for trinket storage, sweets or for holding ice for drinks. Stunning cut glass design that will add an elegant feature to your home decor. Made from glass with faceted cut glass design on the jar and lid.